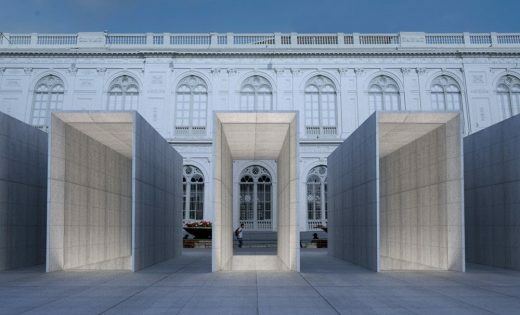 A white box, a habitat platform and the space generated between both elements, composes this project. 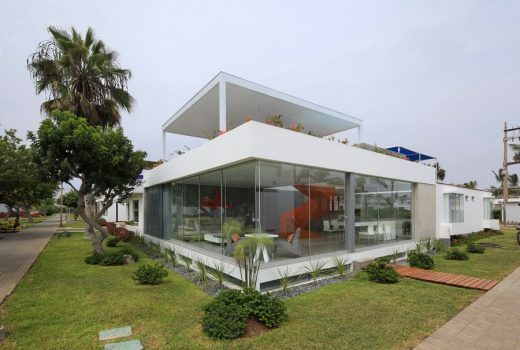 The box is separated from the base creating a large space open to the landscape. 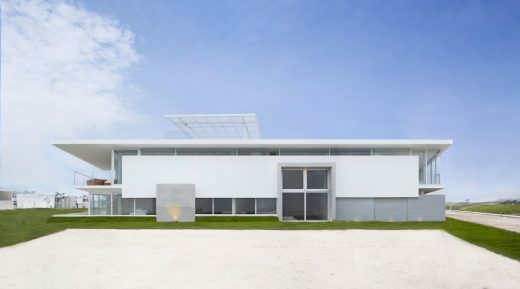 The white block contains the master bedroom, which runs through the whole front of the house, facing the sea, and the two guest bedrooms, located on the back of the lot. 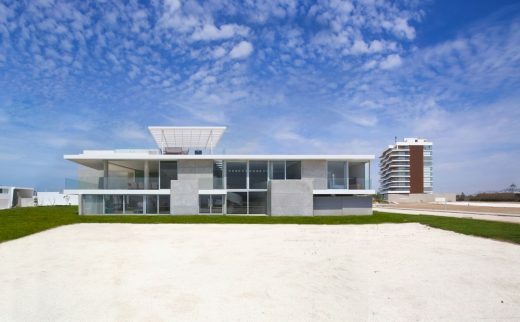 A beach house for a family with three children. The land clearly laid out 2 axes so we made 2 wings. In the ground floor there´s one wing with the kids bedrooms and in front of them is the second wing with the master bedroom and the tv room, they join in the front side and made the social area (living room/dining room/kitchen). 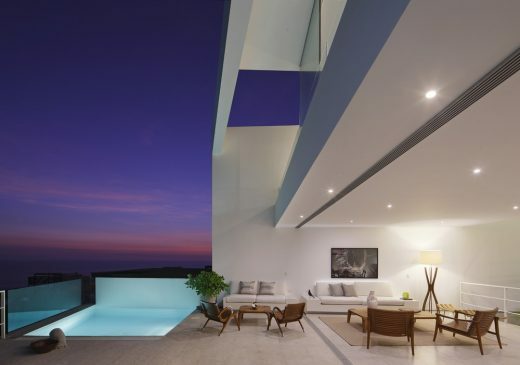 The Project´s basic idea was to have minimum impact in the natural setting. 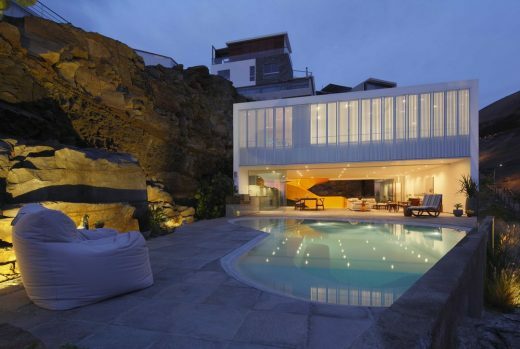 Having this in mind we planed the house to be felt smaller than what it really is. 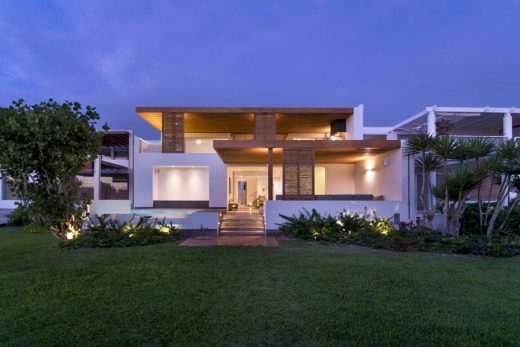 In proportion it is 15% smaller tan the average existing projects in the club prioritizing the relation between the architecture and its natural setting. When I say Beach, we can quickly see the blue of the sea under a clear sky, next to the warm sand, bathed in an intense yellow light that illuminates the day. The relaxing sound of the waves begins to whisper our ears, while our body begins to perceive a refreshing temperature, the wind passing. Designed for a business family who spend a lot of time traveling, with a culture of fluidity and continuity of energy in their lives. 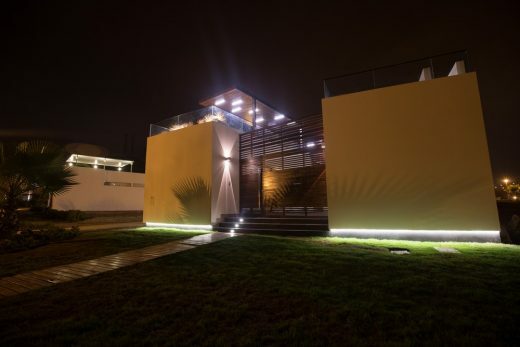 The top priority for the architects when designing this contemporary Peruvian house was to keep the spirit of the existing house, which was more than 20 years old and was designed in an exaggerated way. This new property has been worked on to look like a massive block, which has been excavated to generate different areas in the inside. The house has three different levels: the basement, first floor and the terrace.